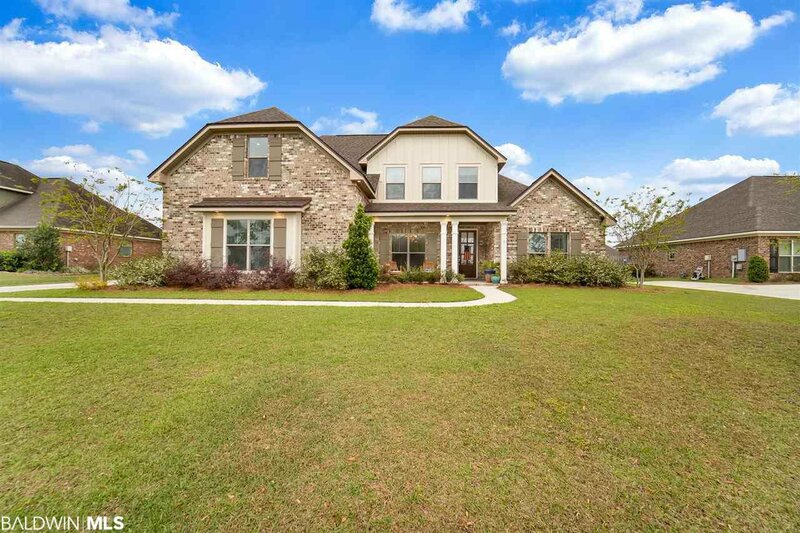 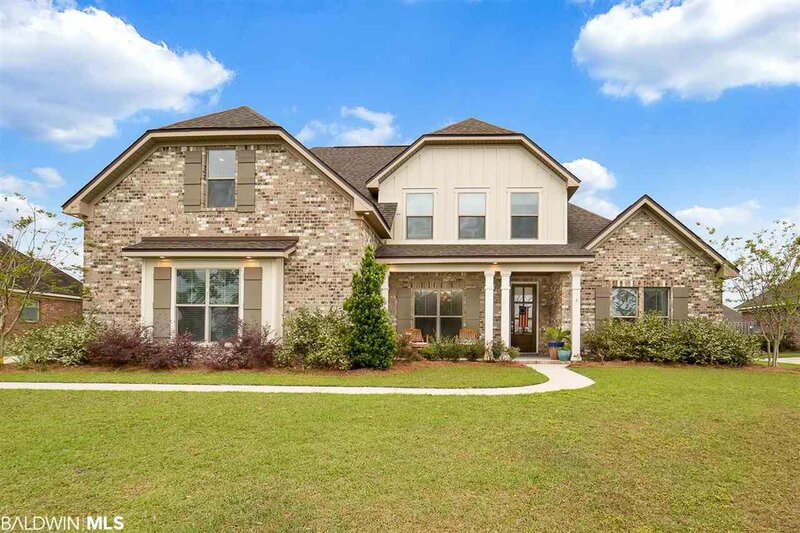 Fantastic curb appeal is just the beginning of this like new 4 bed/2.5 bath with bonus room home in Waterford, a MUST SEE!! 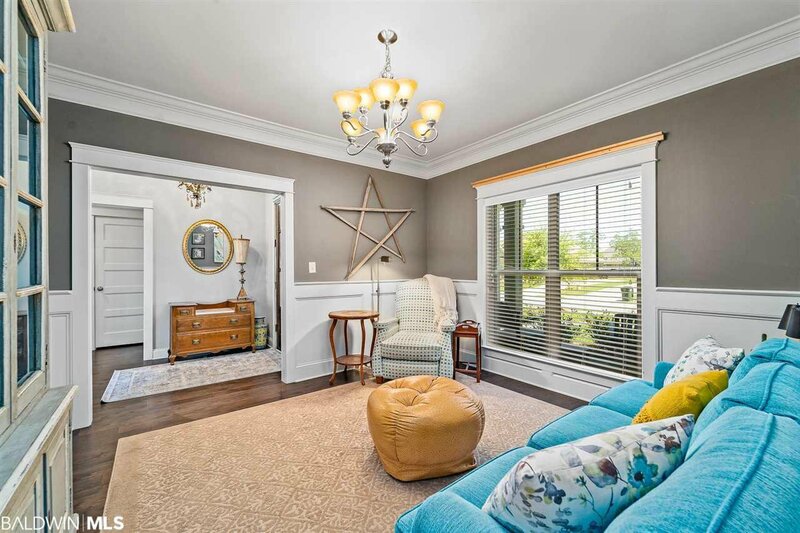 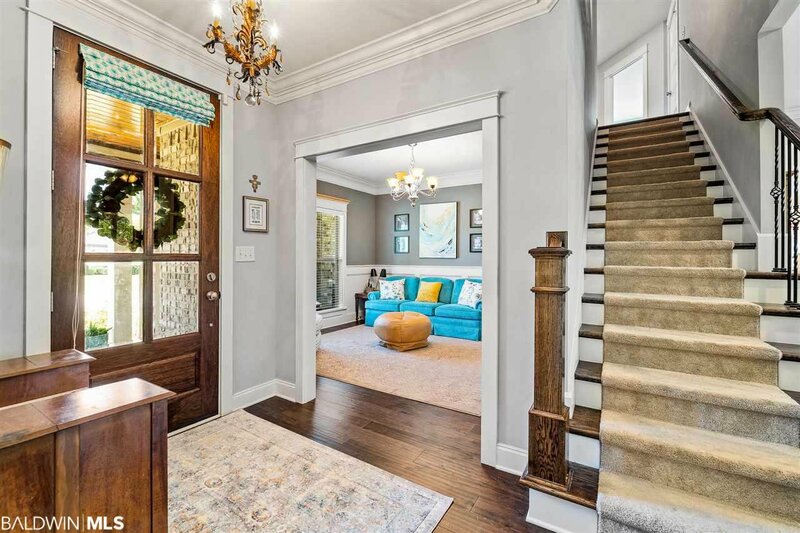 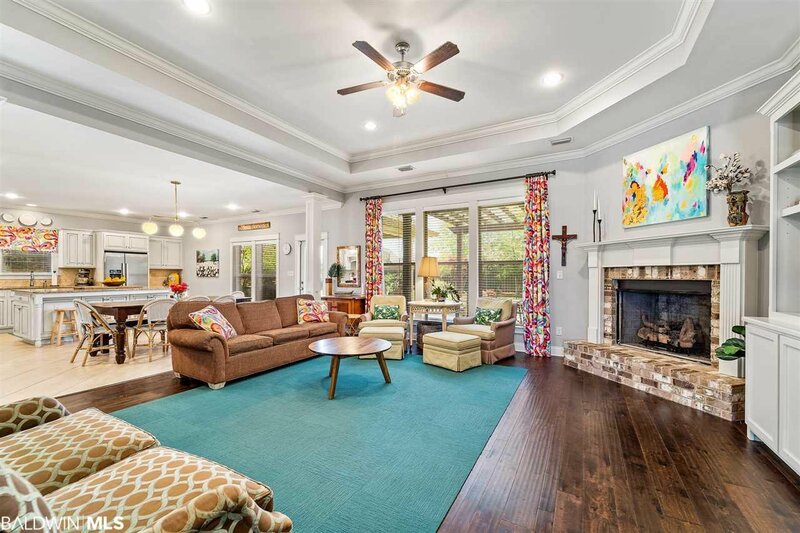 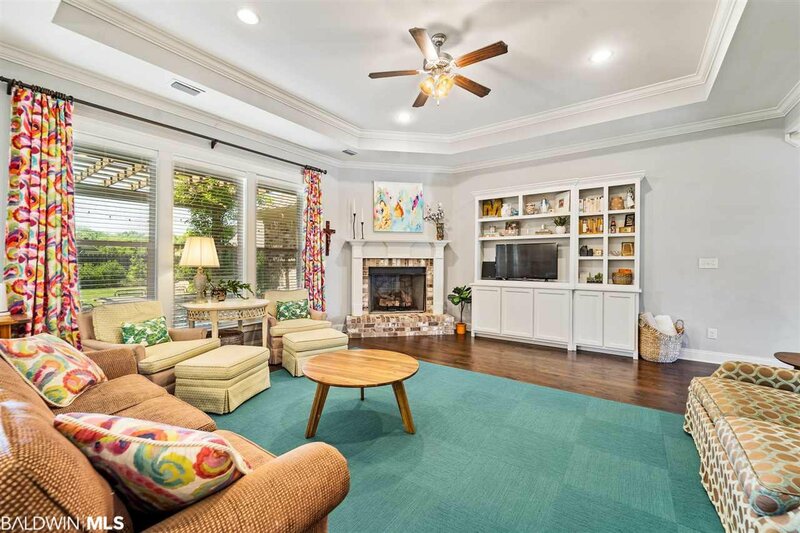 Once inside you'll see beautiful hardwood floors and crown molding throughout the foyer, dining room, and living room. 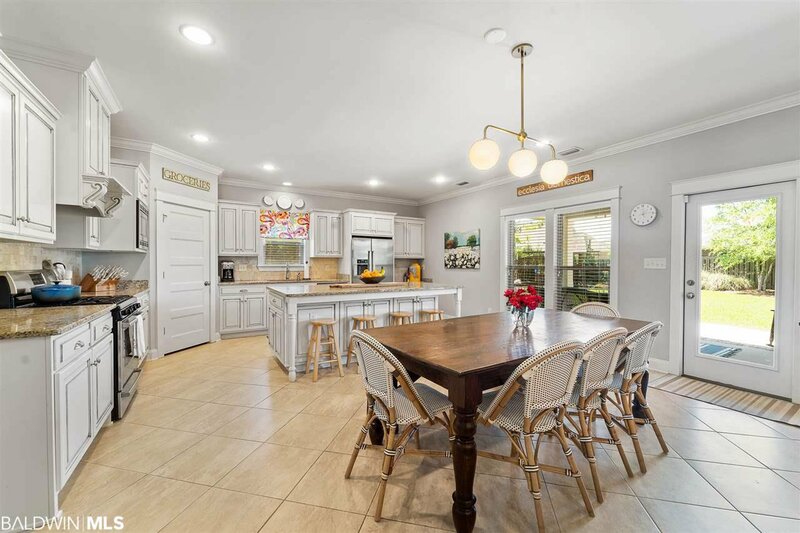 The dining room is stunning with 9 ft ceilings, 42.5" high wainscoting, and extra crown molding. 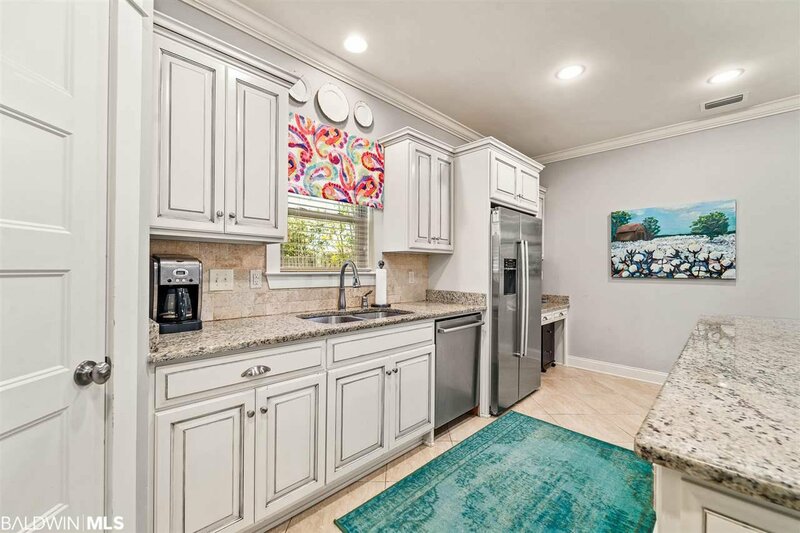 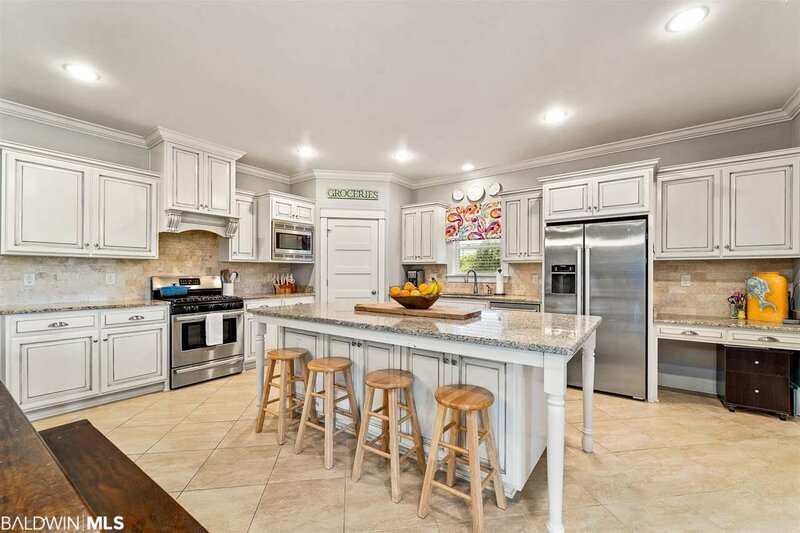 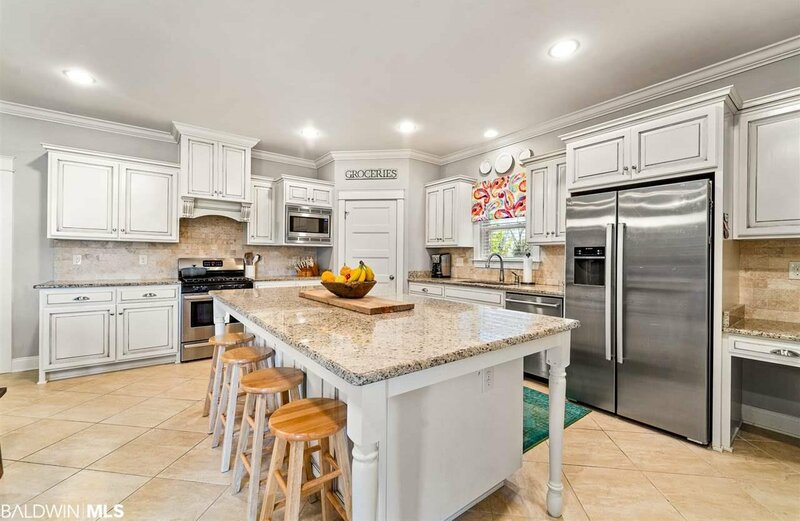 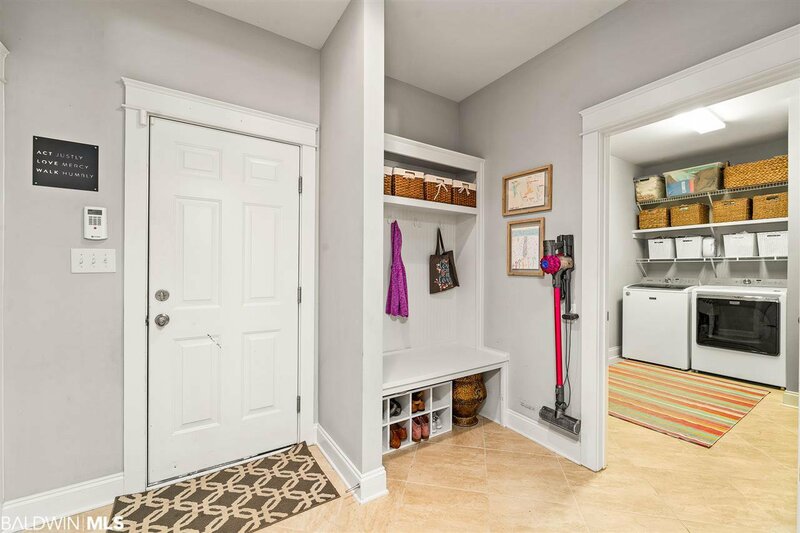 The kitchen is a chef’s delight with upgraded custom cabinets, Bosch stainless-steel appliances, beautiful granite countertops, tile backsplash, gas cooktop, crown molding, large walk-in pantry, and deep stainless-steel sink. 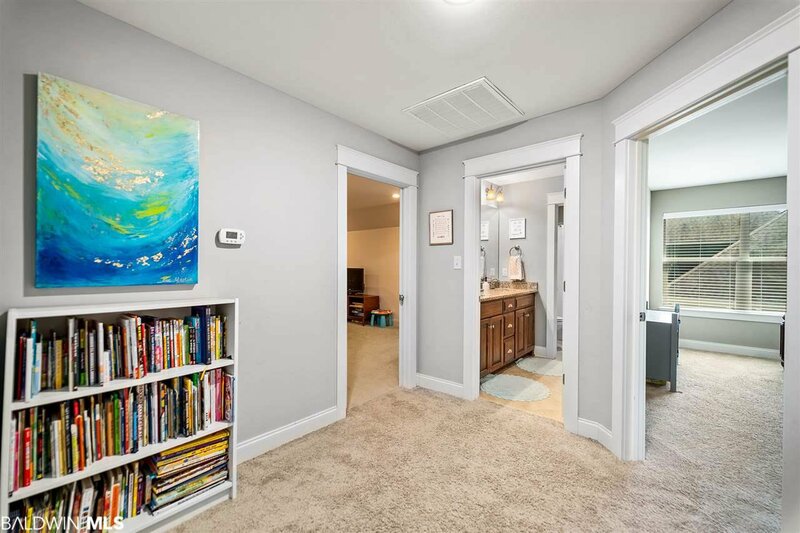 Lots of natural light fills the home making for a bright and inviting space! 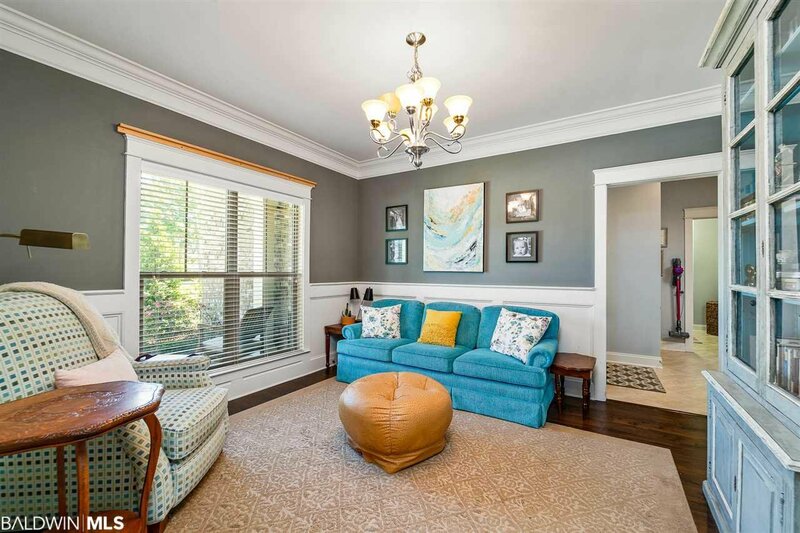 The living room comes complete with custom built-in bookshelves, 11 ft ceilings, and a great view of the fenced backyard! 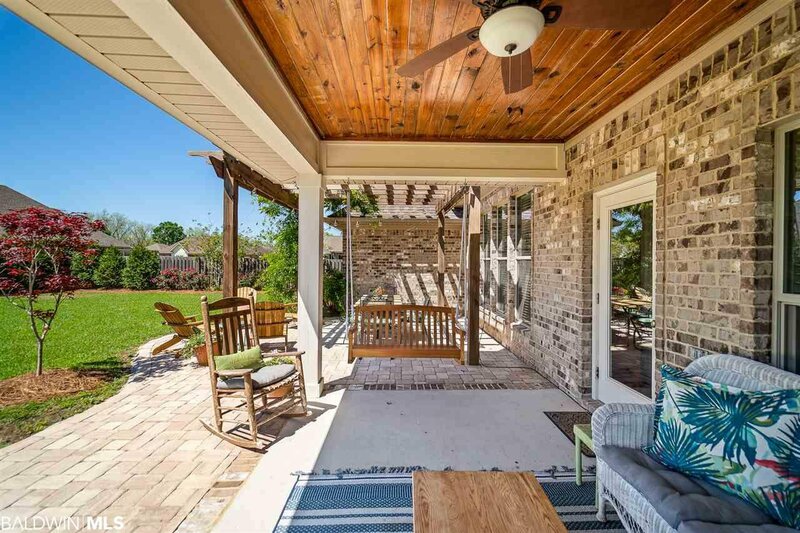 Step outside to the covered patio and you'll experience the perfect blend for entertainment and relaxation. 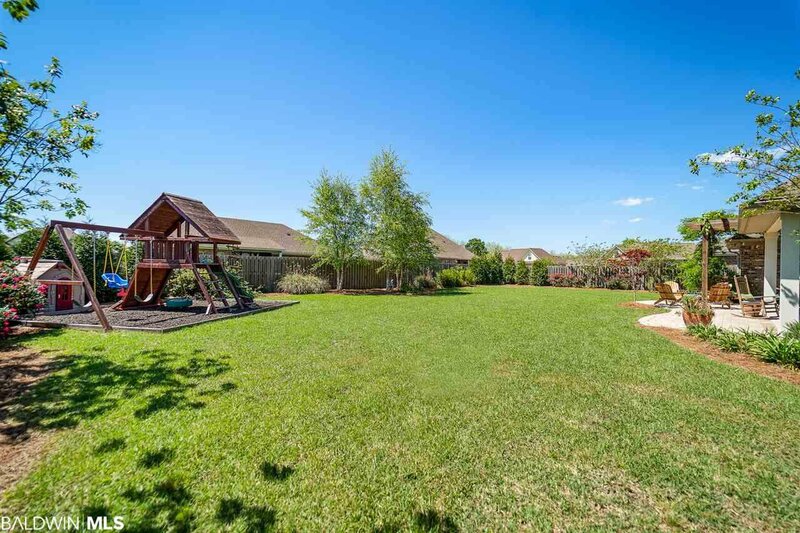 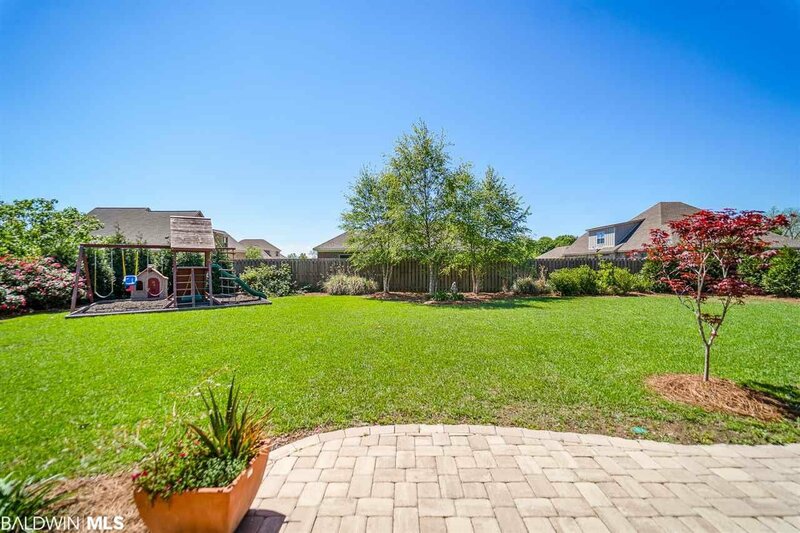 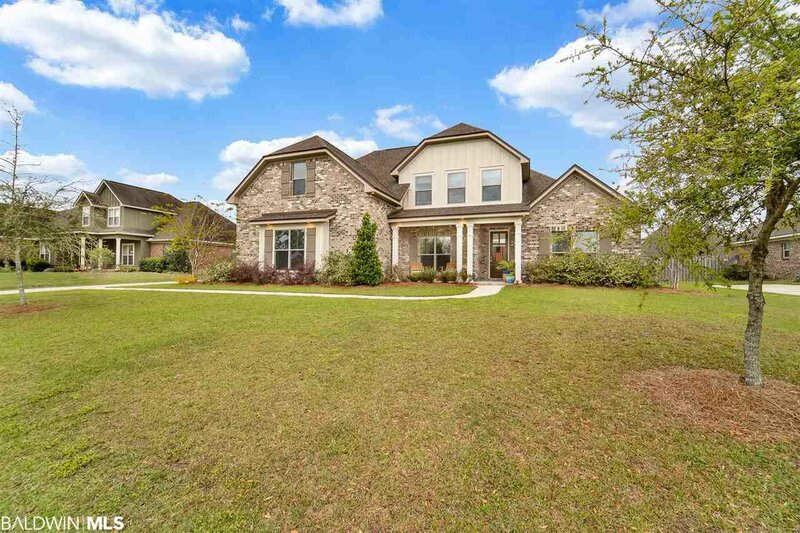 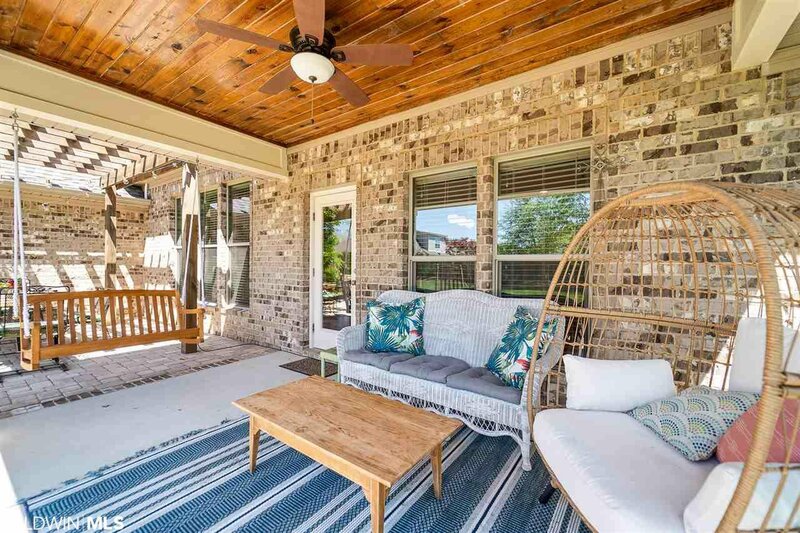 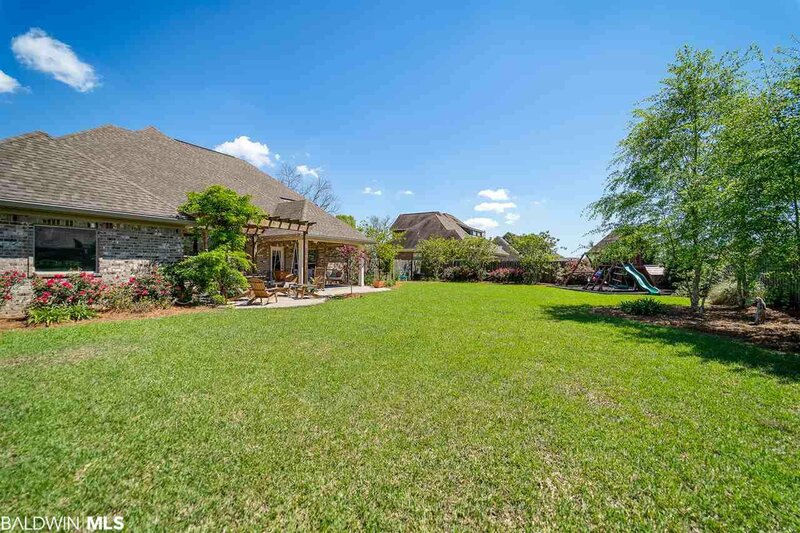 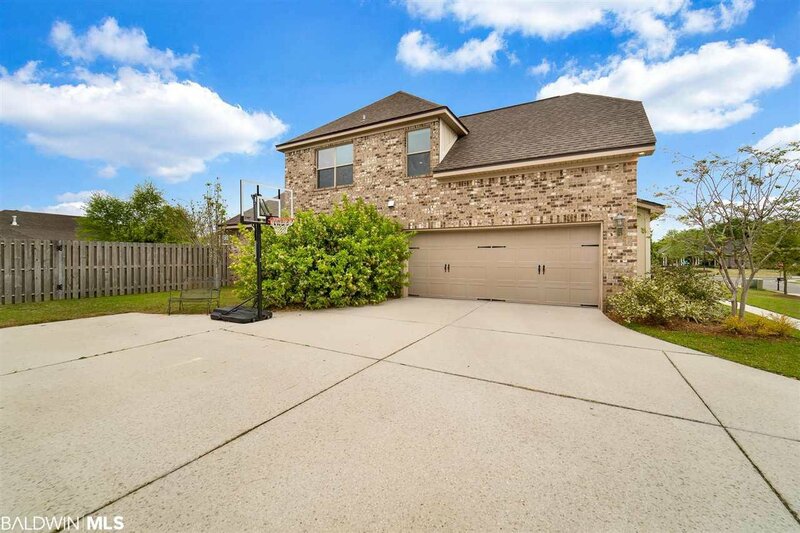 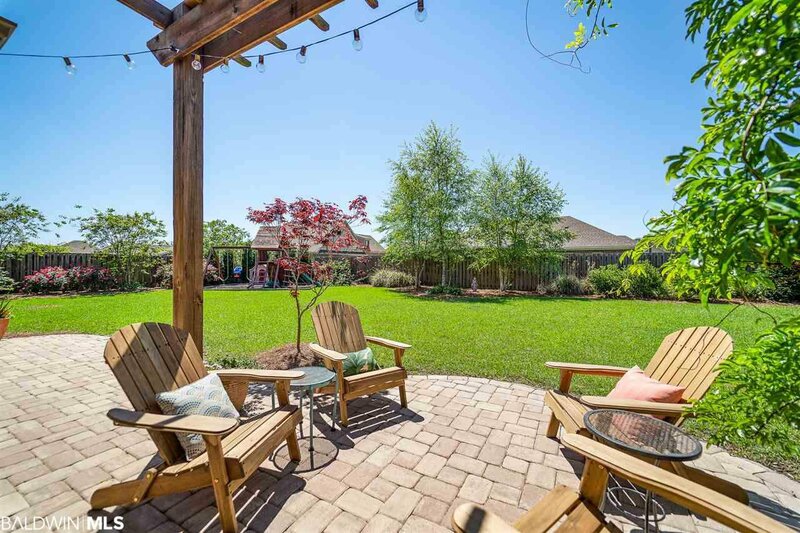 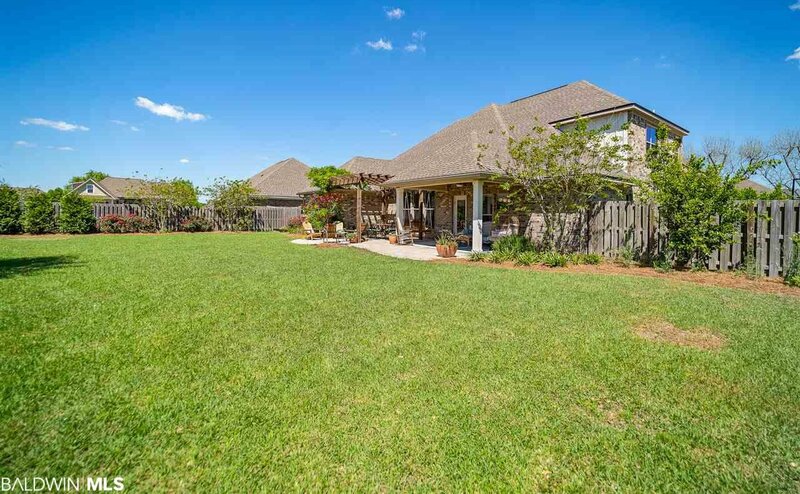 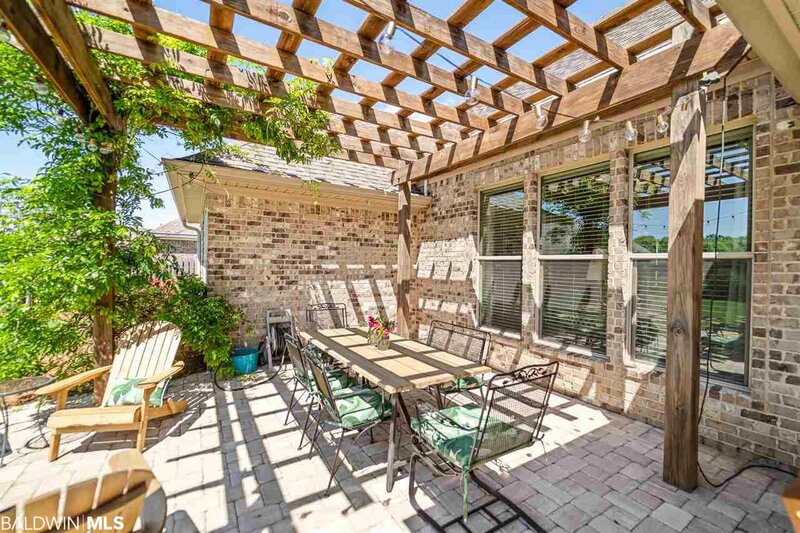 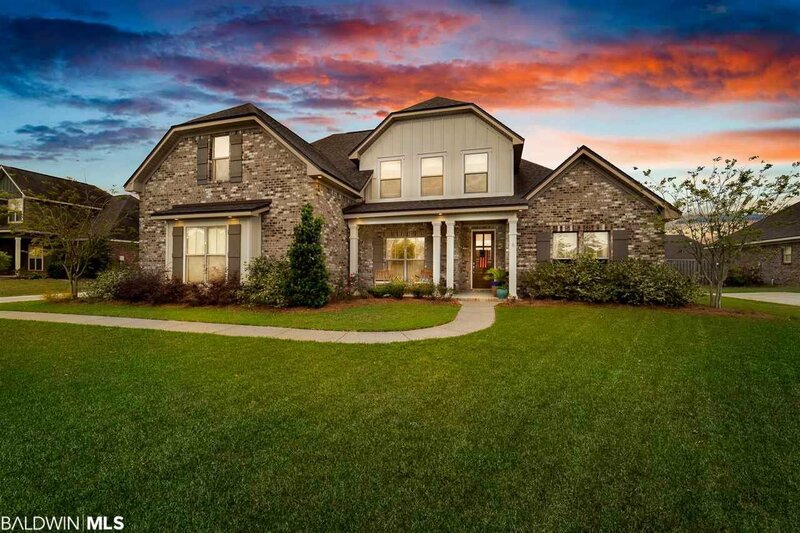 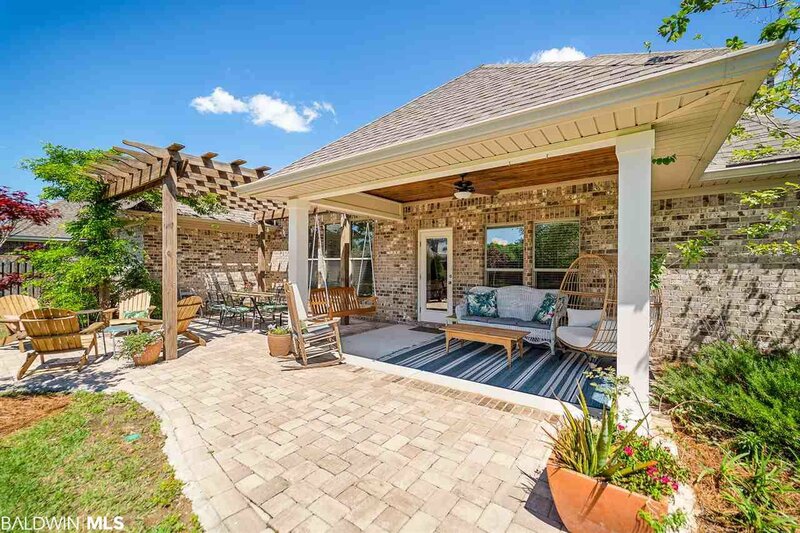 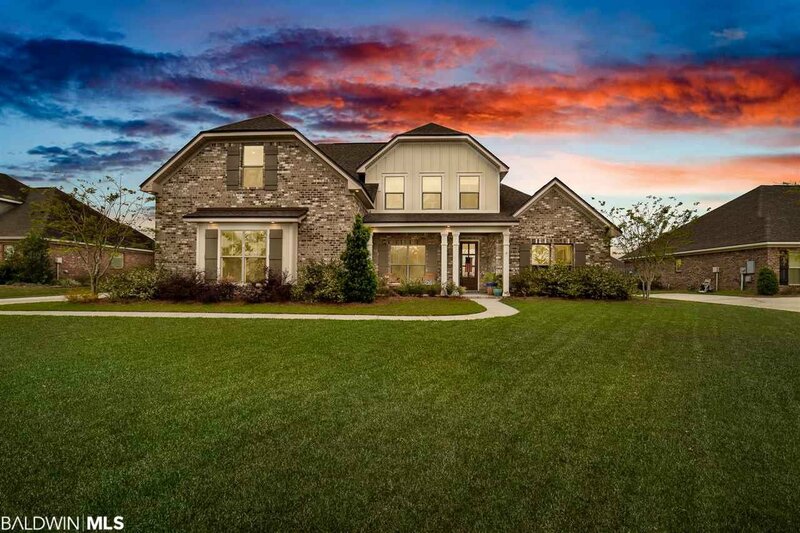 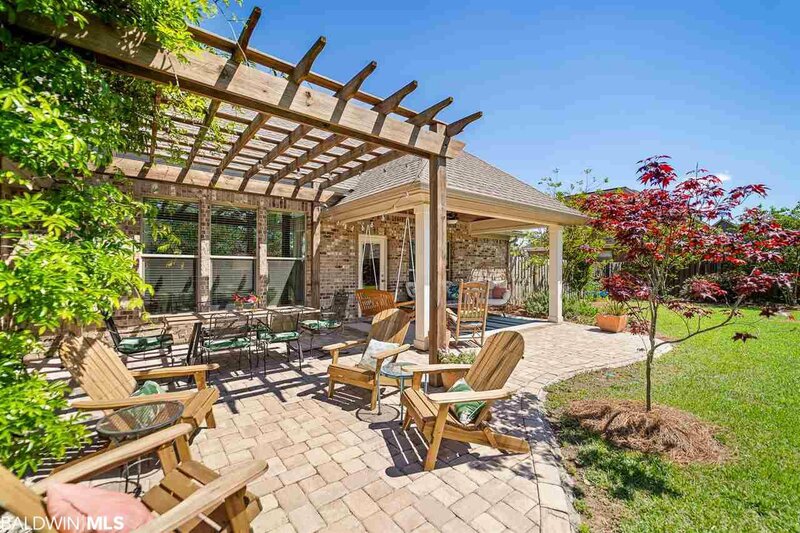 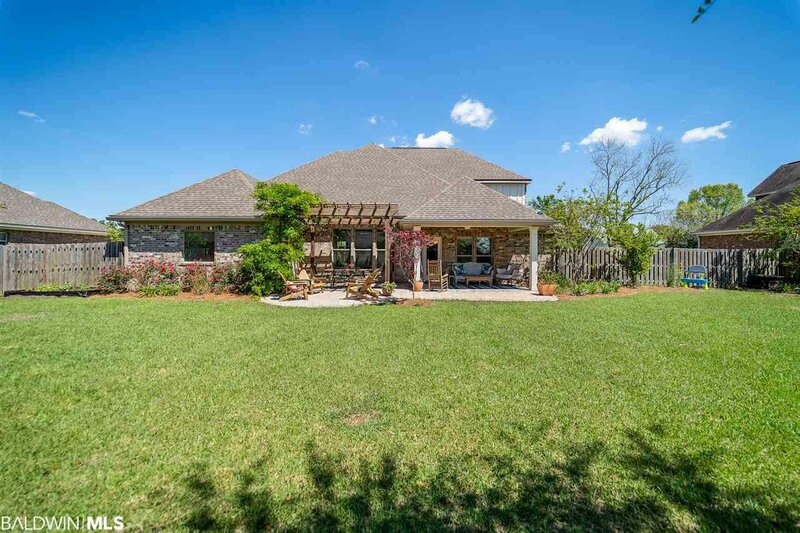 The beautifully landscaped backyard has plenty of room to explore and features a separate extended patio complete with pergola to sit and entertain, soak in the sun, or have your next grill out! 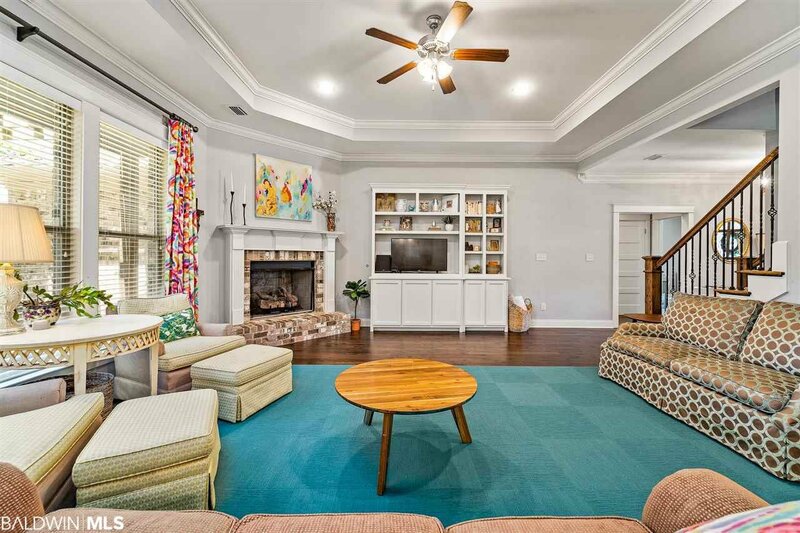 Back inside, the family room is spacious and has a corner gas log fireplace with brick surround and custom wood mantel. 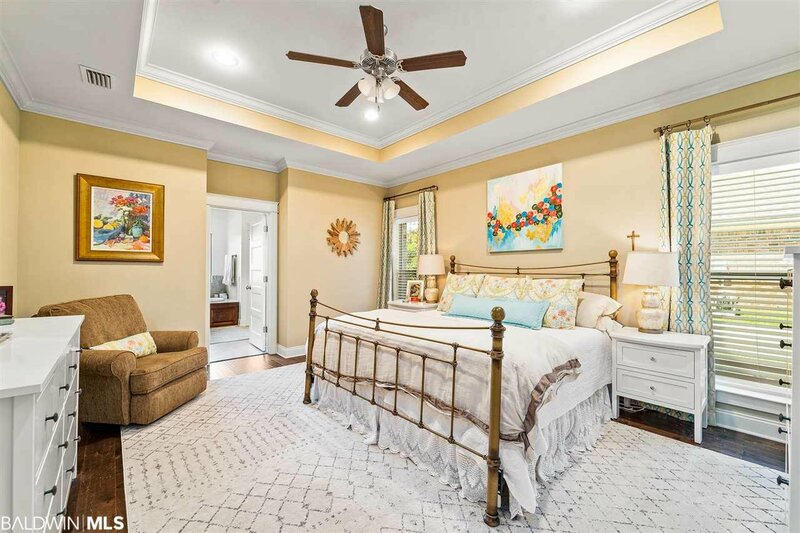 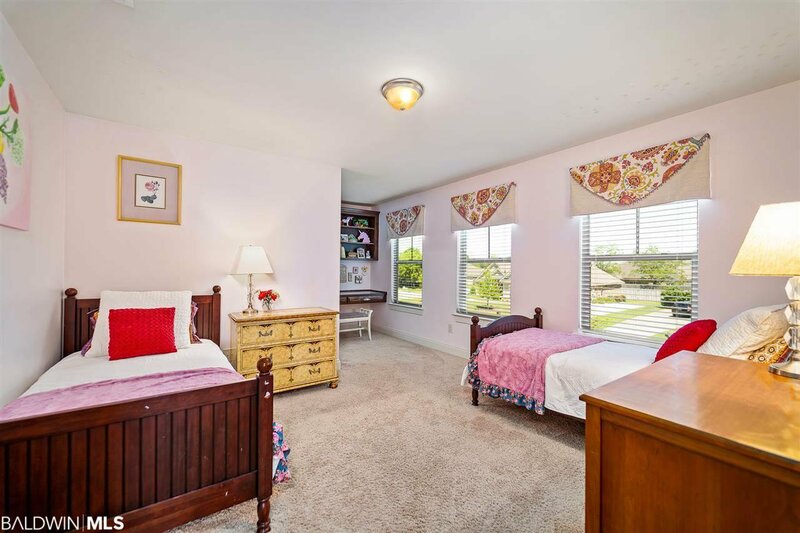 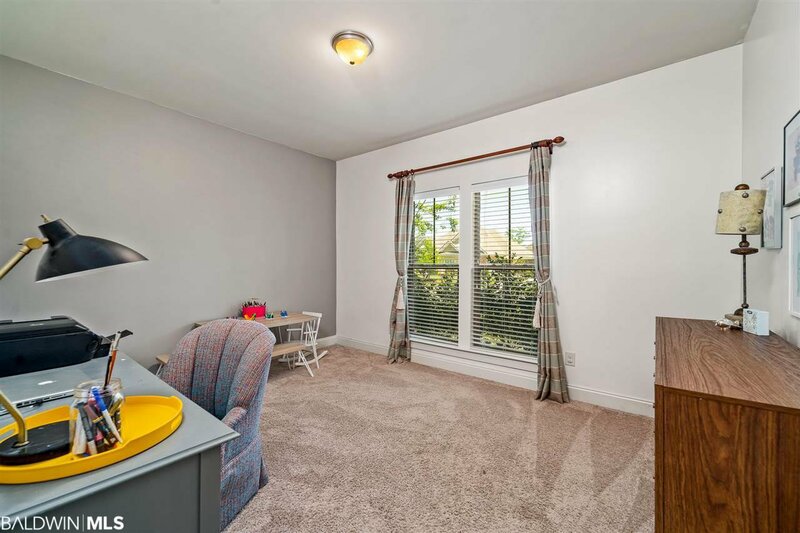 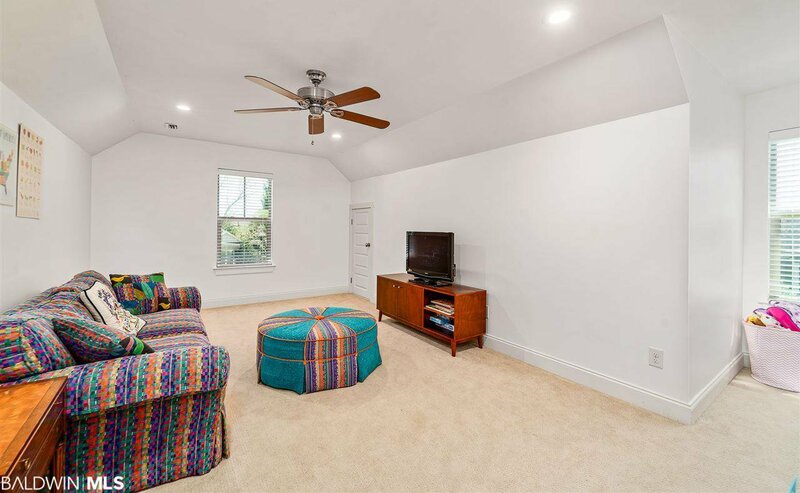 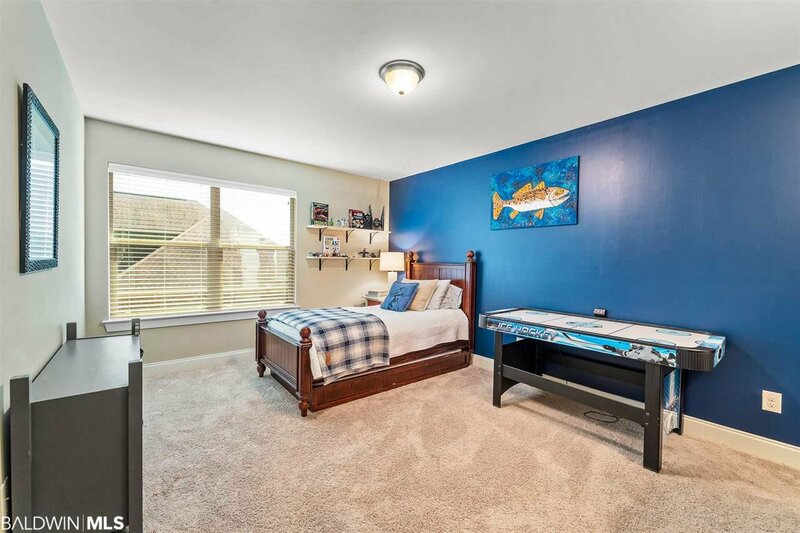 The master bedroom is perfect, spacious, and inviting with hardwood floors, a 10 ft trey ceiling, ceiling fan, and recessed lighting. 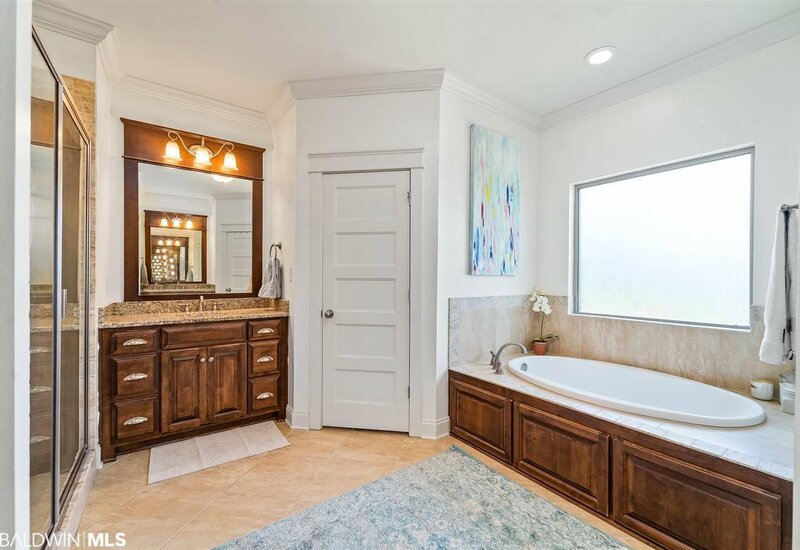 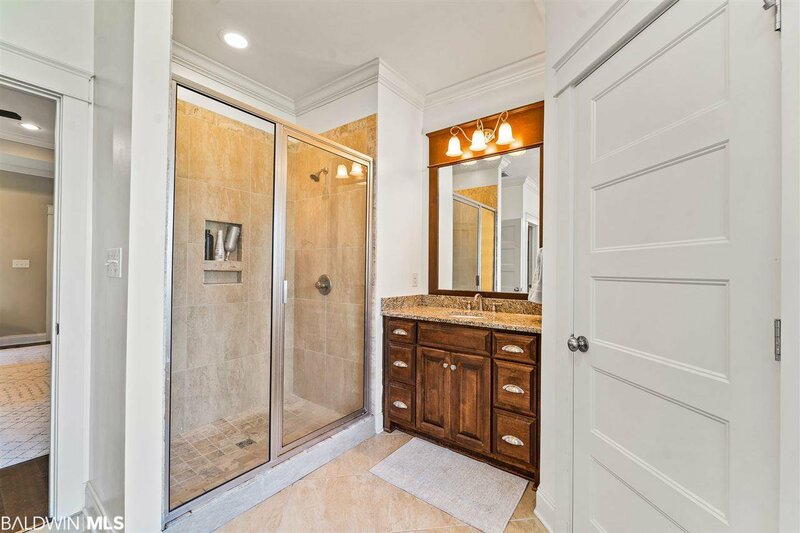 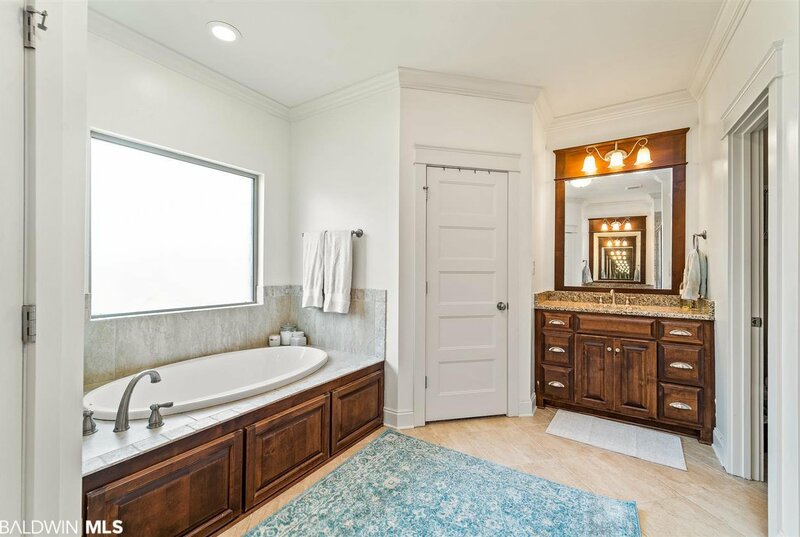 The master bath has separate dual vanities, a custom tile shower with built-in niche, and large soaker tub with custom wood trim front. 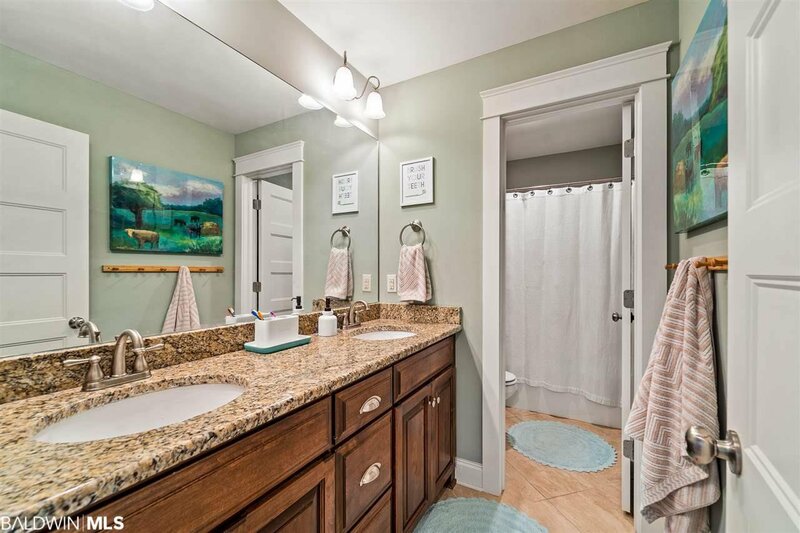 There is beautiful upgraded lighting throughout the home. 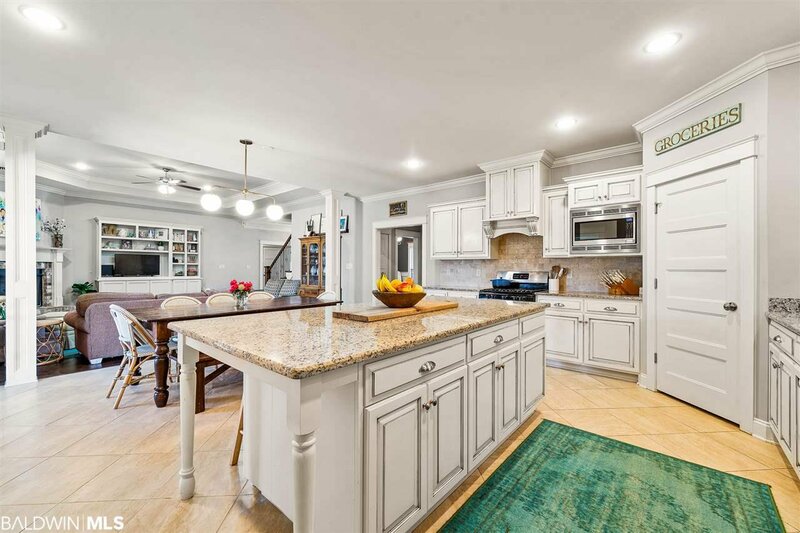 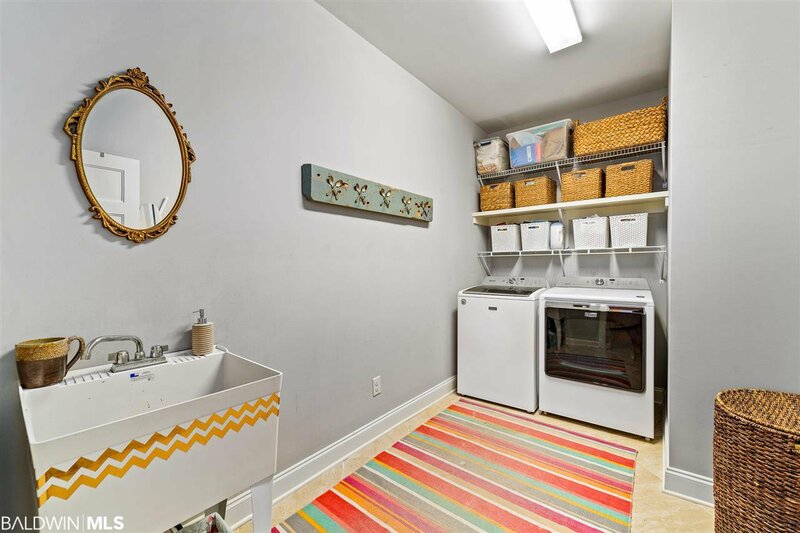 The home is currently covered with Truland Homes structural warranty and comes with an additional HOME WARRANTY that covers various equipment and appliances. 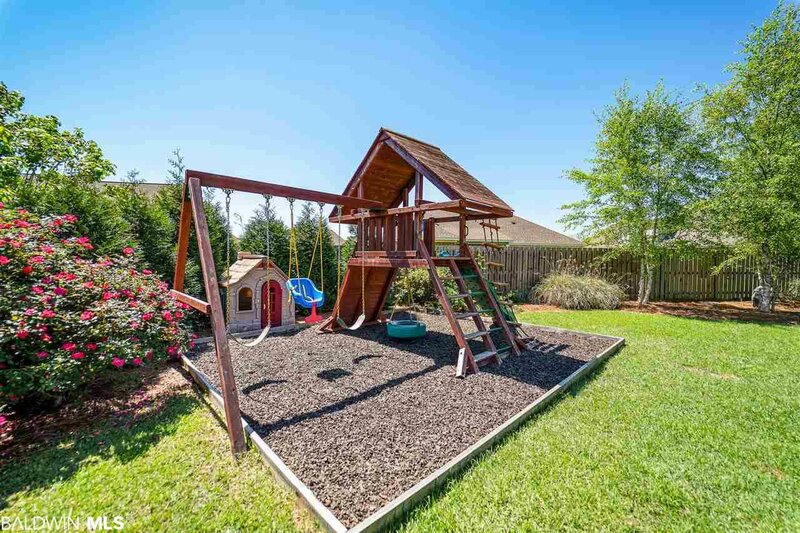 Enjoy the Waterford community amenities including clubhouse, pool, bbq area, park, & exercise room which are merely across the street! 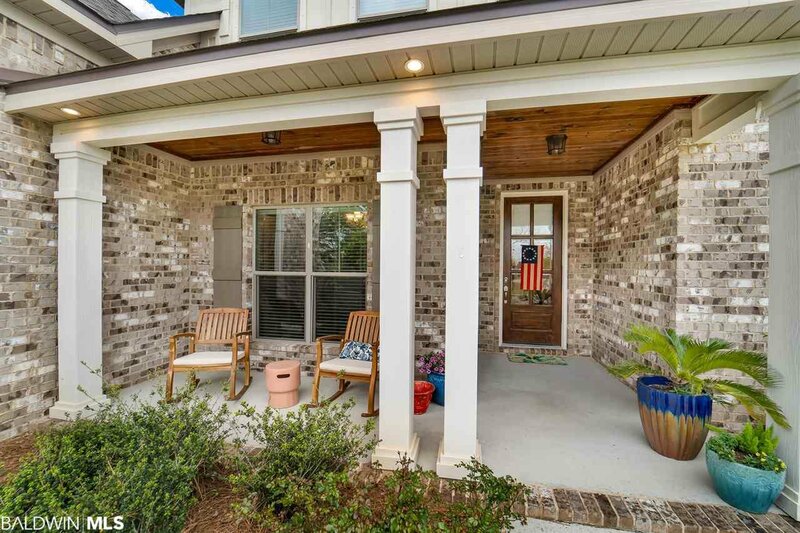 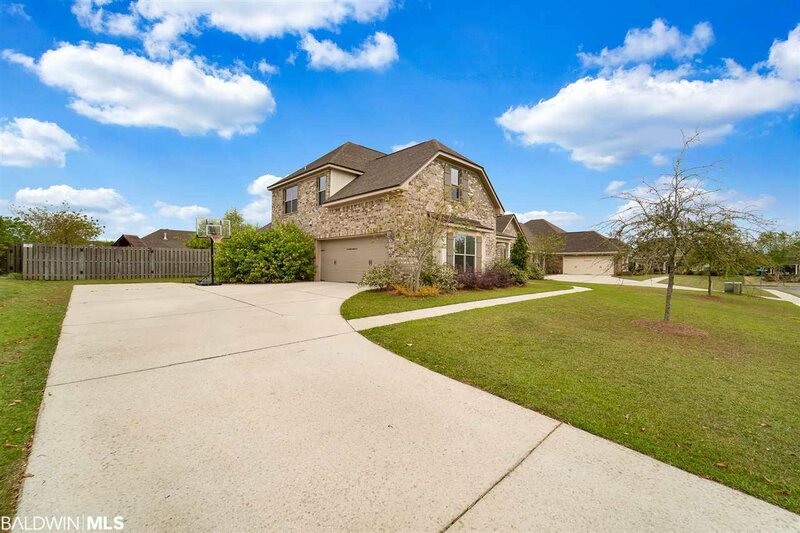 The home is centrally located with quick access to I-10, beaches, local hospitals, schools, parks, and shopping centers! 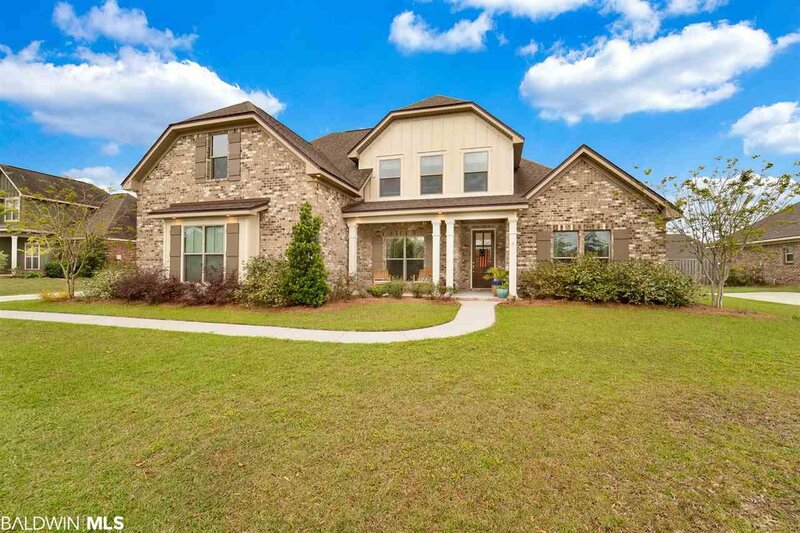 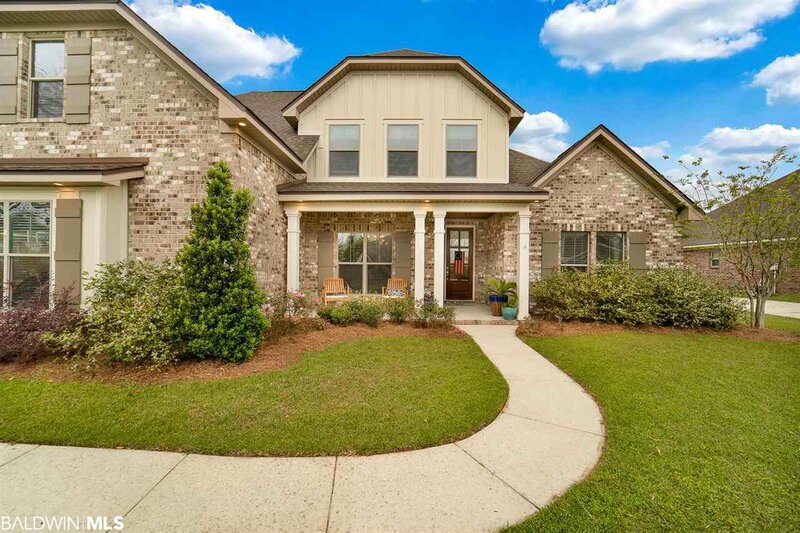 Listing courtesy of Keller Williams AGC Realty-Daphne.